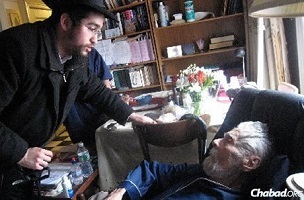 A recent article in The Jewish Press about 111-year-old Upper West Side resident Alexander Imich came about thanks to the efforts of a much younger Brooklyn rabbi. Today, that rabbi – 30-year-old Pinny Marozov – gets profiled at chabad.org and provides more detail about this evolving friendship. Marozov said he plans to visit Imich again before Passover and bring him some shmura matzah — handmade matzah made from grain that is guarded from the moment of harvesting, so that no fermentation occurs. 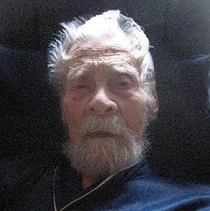 Marozov first found out about Imich, the world’s second oldest man, while visiting family in Seattle. Read the rest of the Chabad piece here. Imlich, who subsequent to this post was certified as the world’s oldest living man, has passed away. RIP.